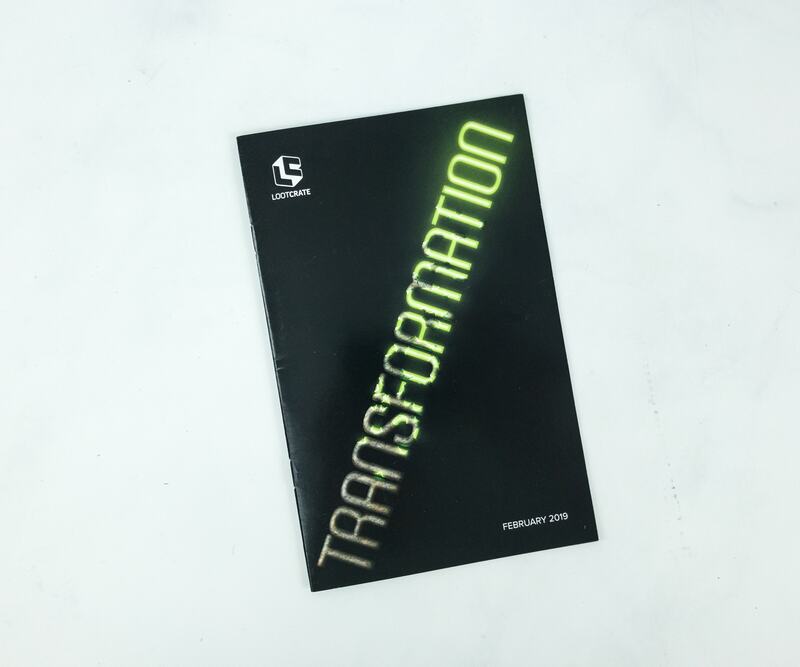 Loot Crate‘s theme for February 2019 is TRANSFORMATION! 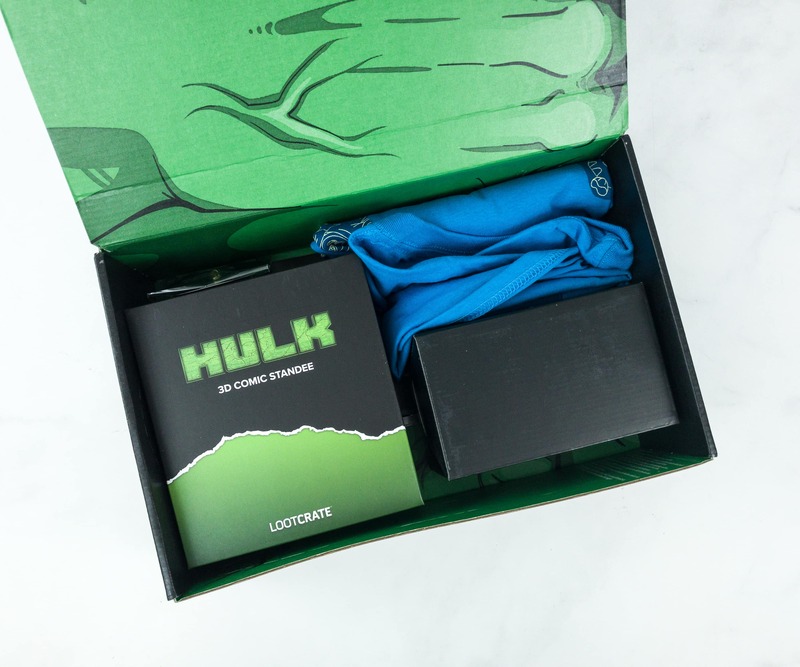 Loot Crate is the original nerd subscription box for geeks & gamers. 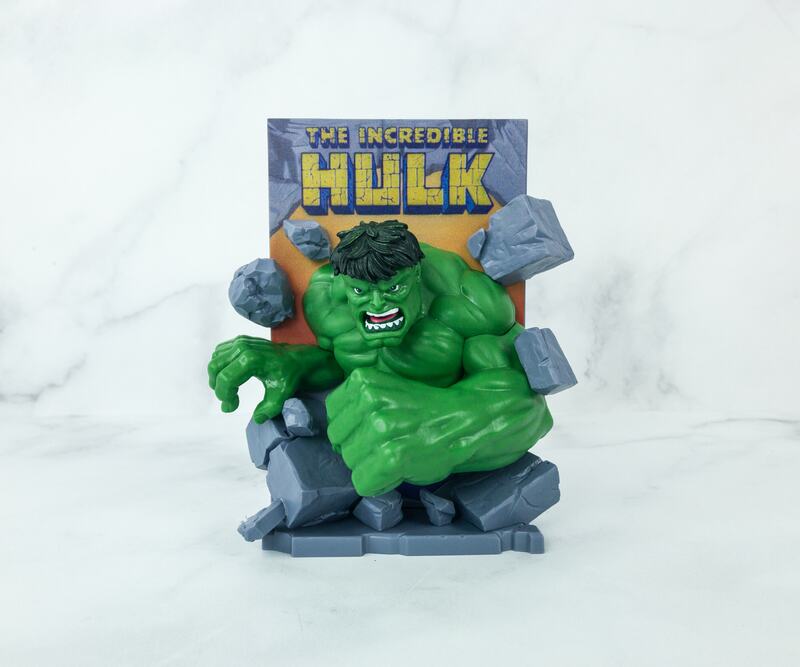 Every month you’ll get awesome, mostly exclusive geeky pop culture items curated around a theme for $21.99 per month, shipped. DEAL: Use code SAVE3 for $3 off your first month and HELLOSUBSCRIPTION off longer subscriptions. 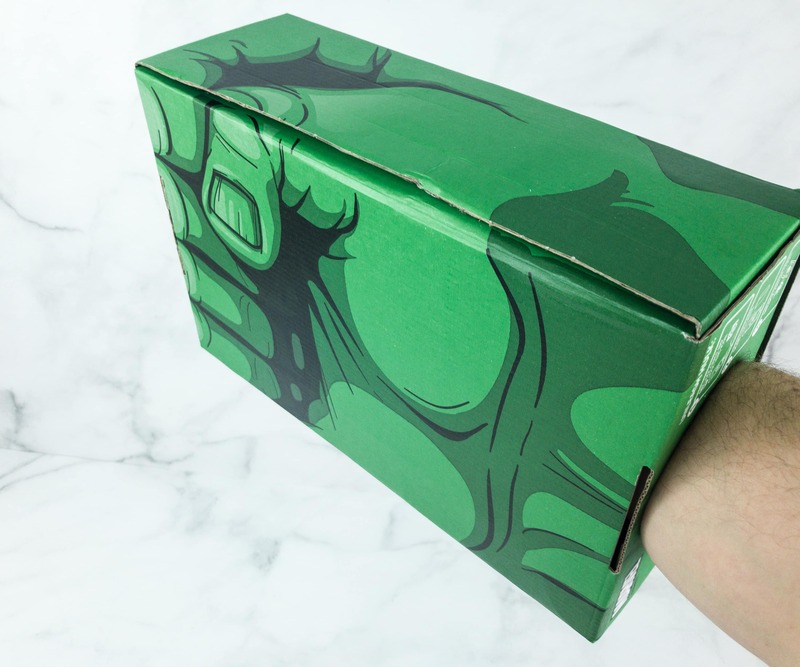 The box design, as always, looks so awesome! They even included a virtual loot! 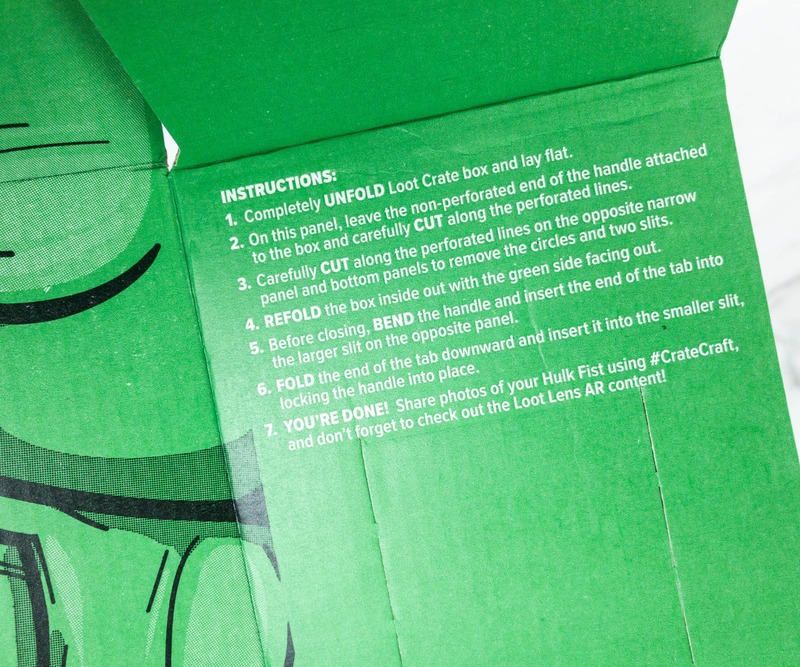 They included some instructions on how you can “transform” your box into something cool! 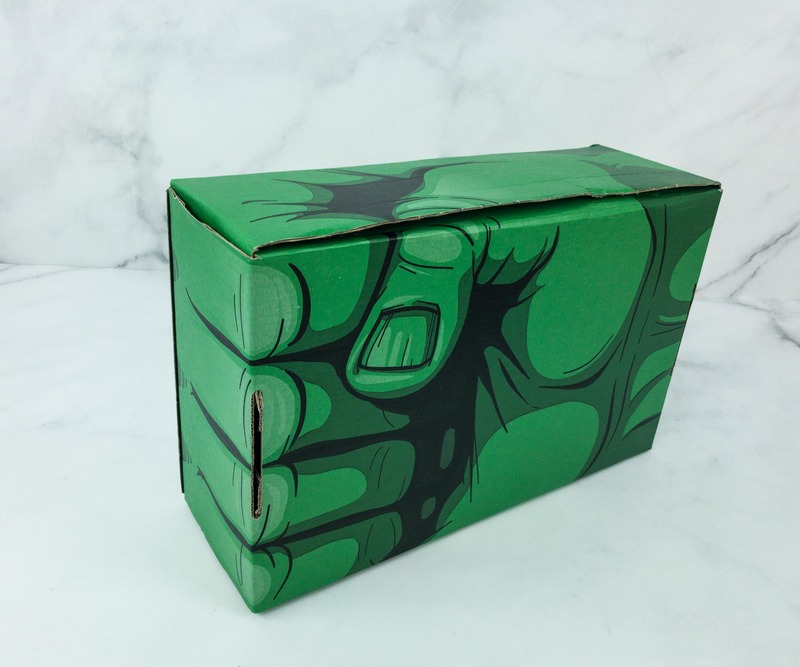 The box transformed into the Hulk’s mighty fist! My husband tried it on, and it looks cool! I always find it awesome that boxes from this crate turn into something cool! 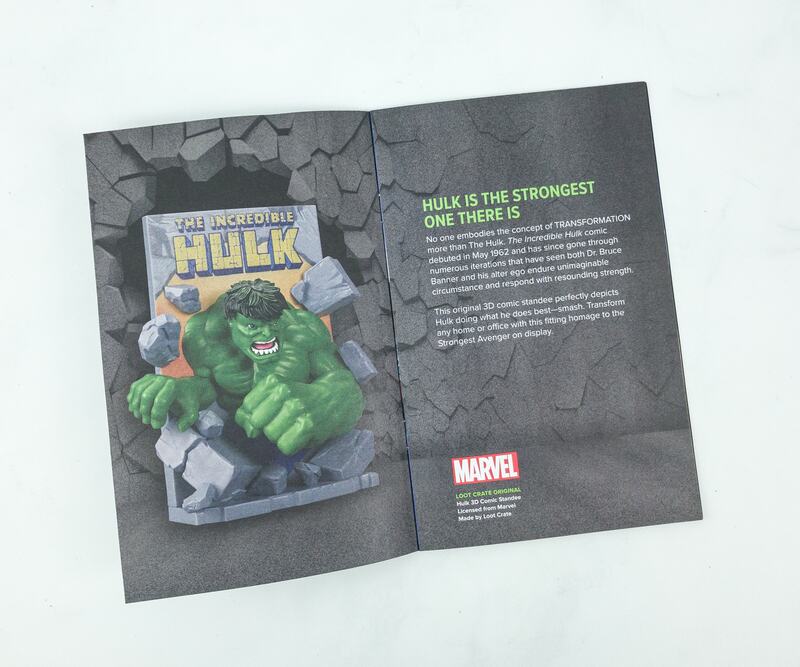 Loot Crate also comes with a mini mag-like booklet. 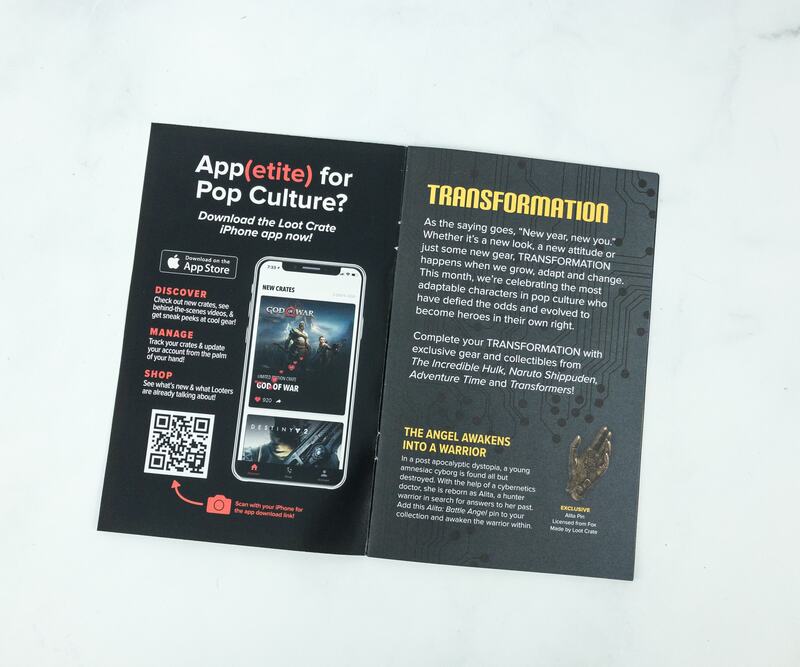 It’s nice to see the return of the booklet! 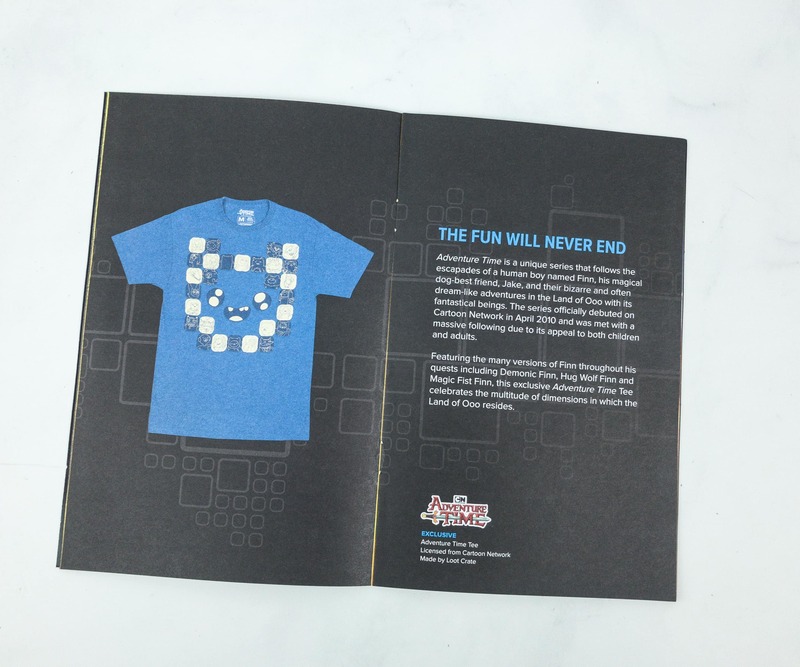 Inside the booklet, there’s a brief description of this month’s theme and individual item pages. 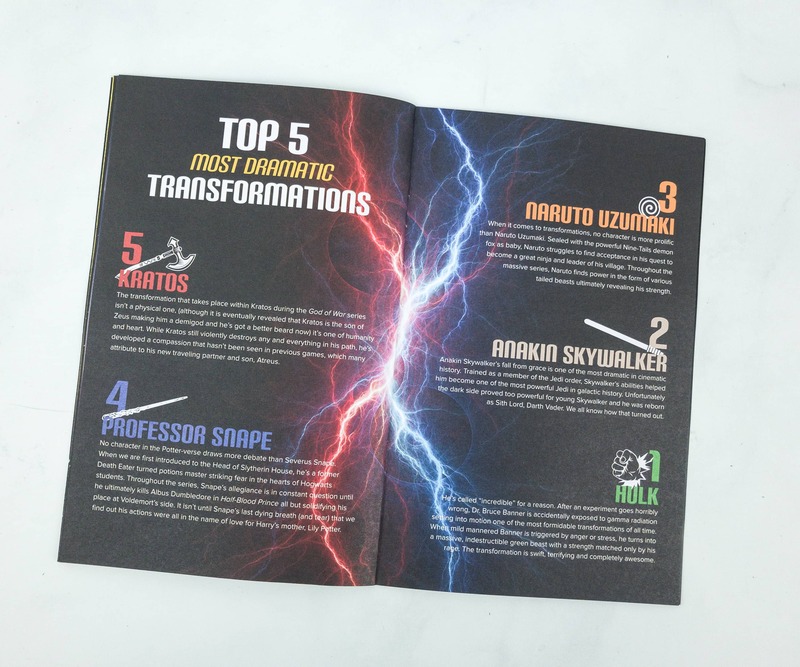 There’s also a short feature about the most dramatic transformations in films/series! 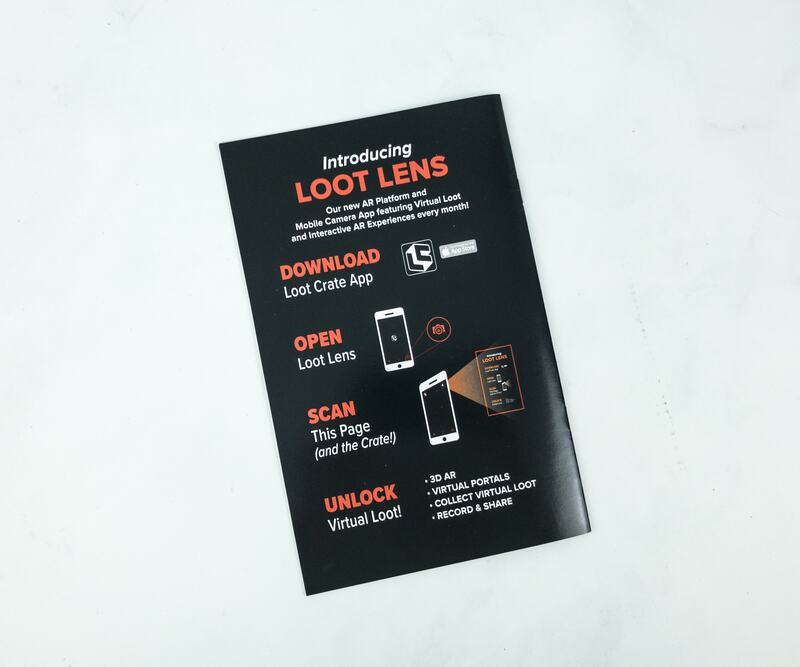 They also introduced us to Loot Lens, Loot Crate’s new AR platform, and mobile camera app featuring virtual and interactive AR experience each month. 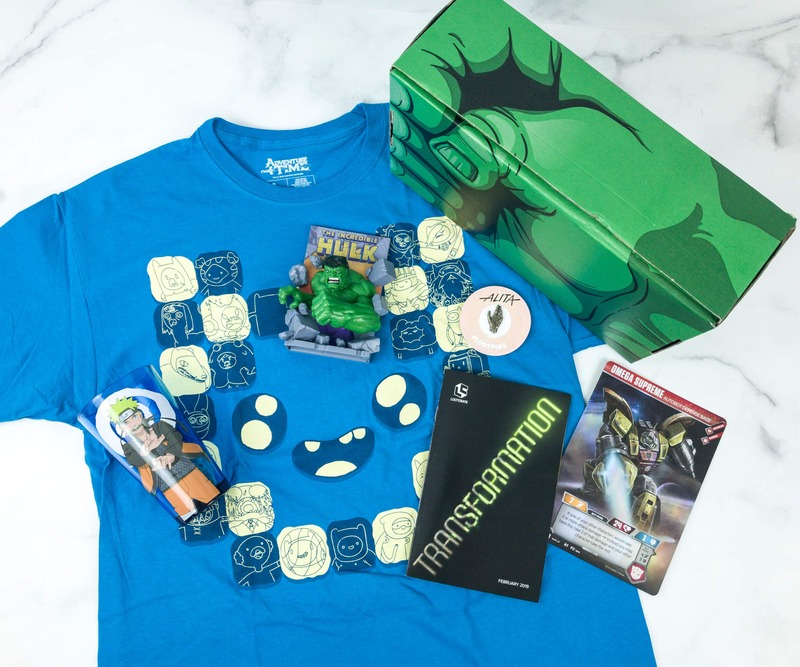 Everything inside my February 2019 LootCrate! Alita Pin. 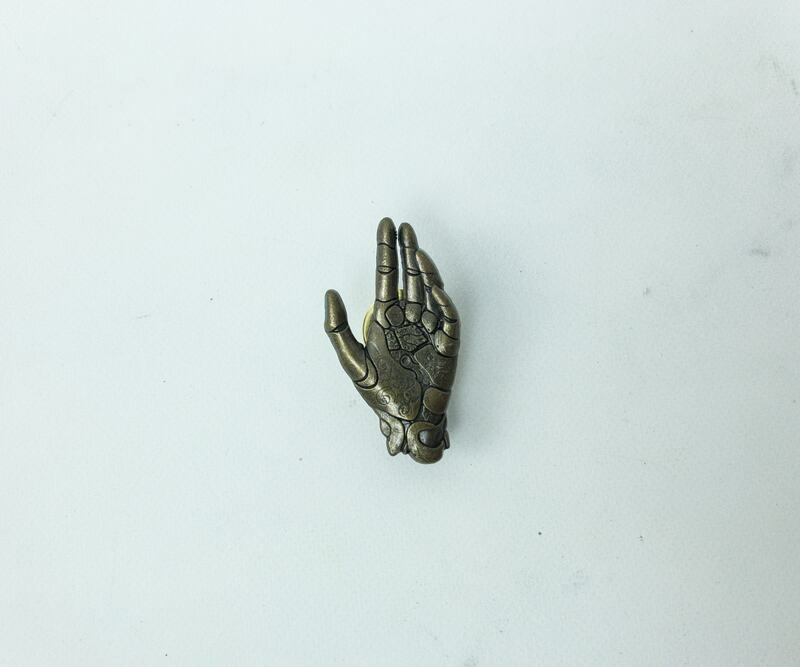 We’re still not over Alita: The Battle Angel and we’re really happy to get this pin inspired by Alita who was turned into a hunter-warrior by cybernetic doctors after she was found fully destroyed. 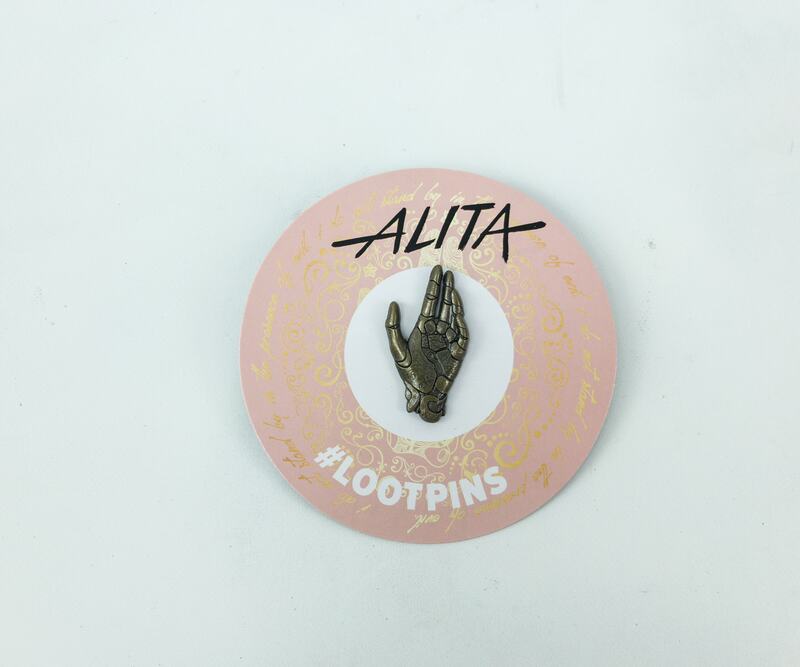 The pin features one of the new hands of Alita! 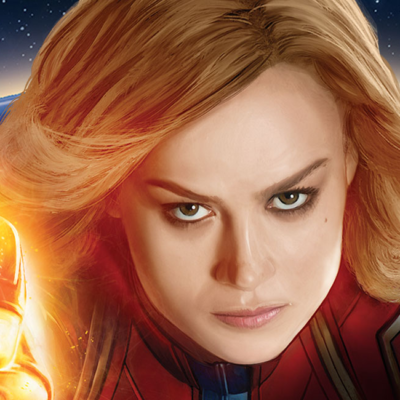 The strongest Avenger? 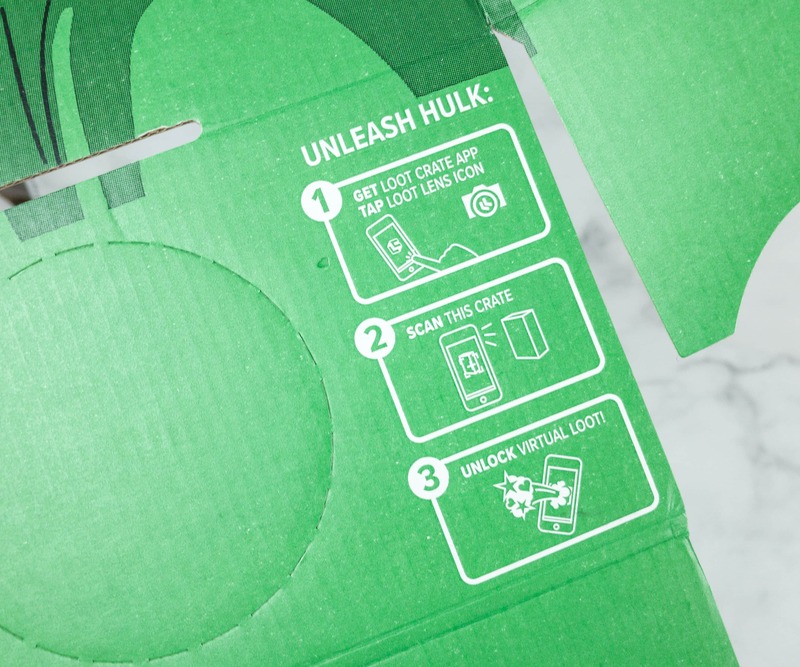 It’s definitely our favorite green guy, the Hulk! 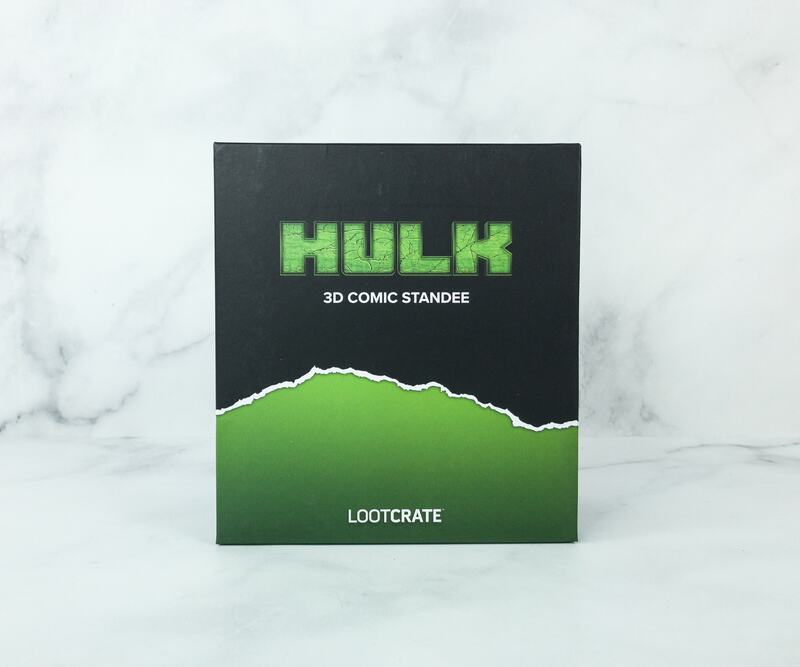 Hulk 3D Comic Standee. 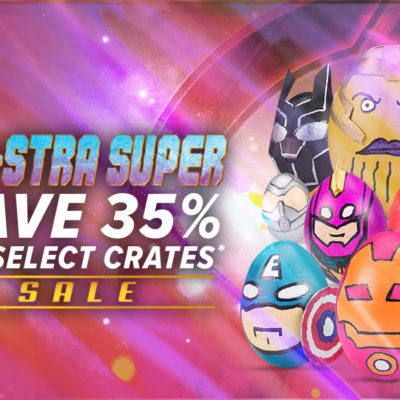 The next item features the symbol of great transformation among the Avengers! This is really fantastic! 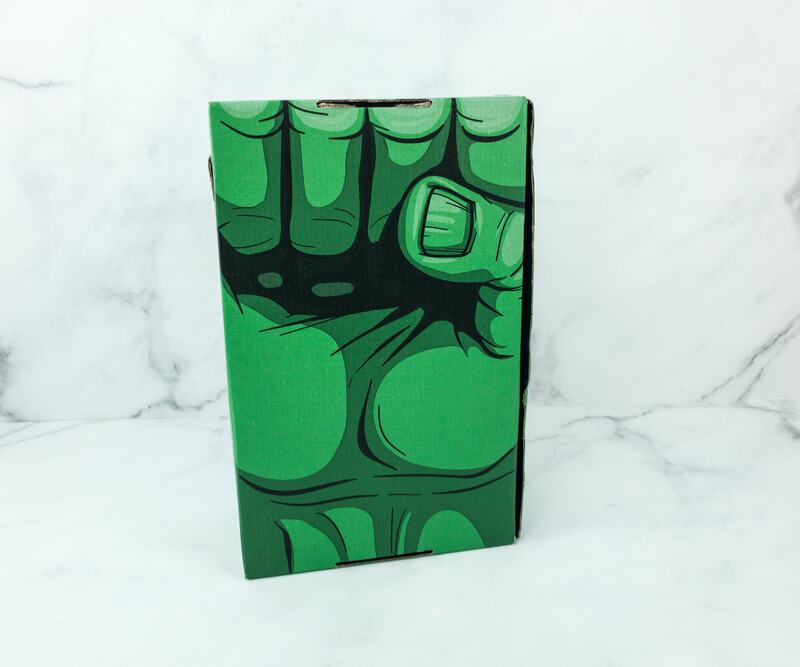 It captures the fierce state of the green guy, and how he can wreak havoc when you get him really angry! 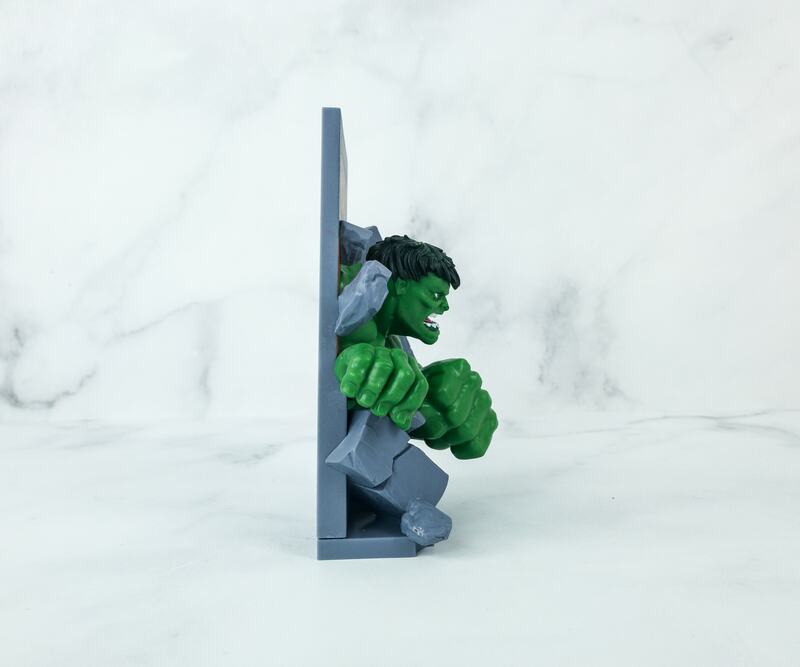 I love how I can just lean it on the wall and it will look like it truly belonged there, like Hulk was actually from the other side of my wall! One of the greatest evolutions in anime, here’s the great Uzumaki Naruto! 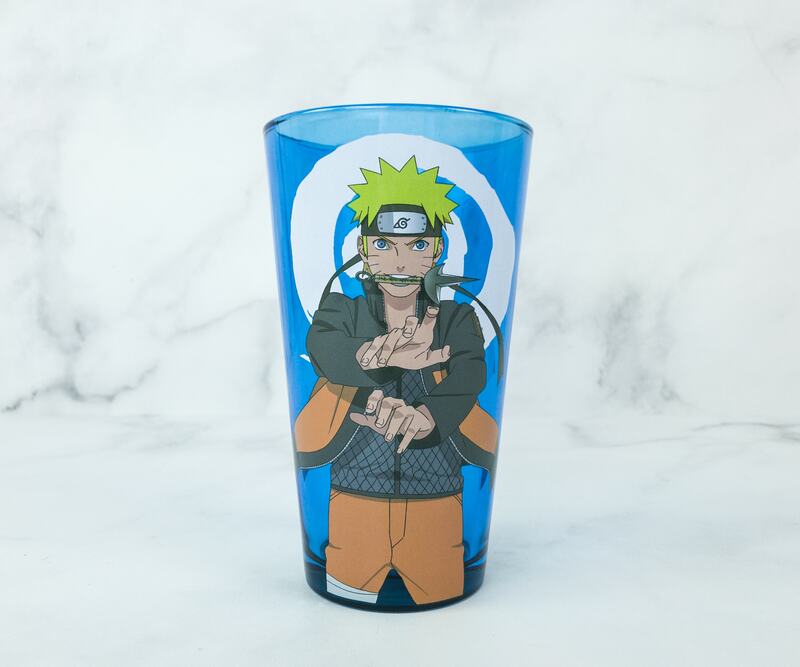 Naruto Drinkware. This is a really nice drinkware! 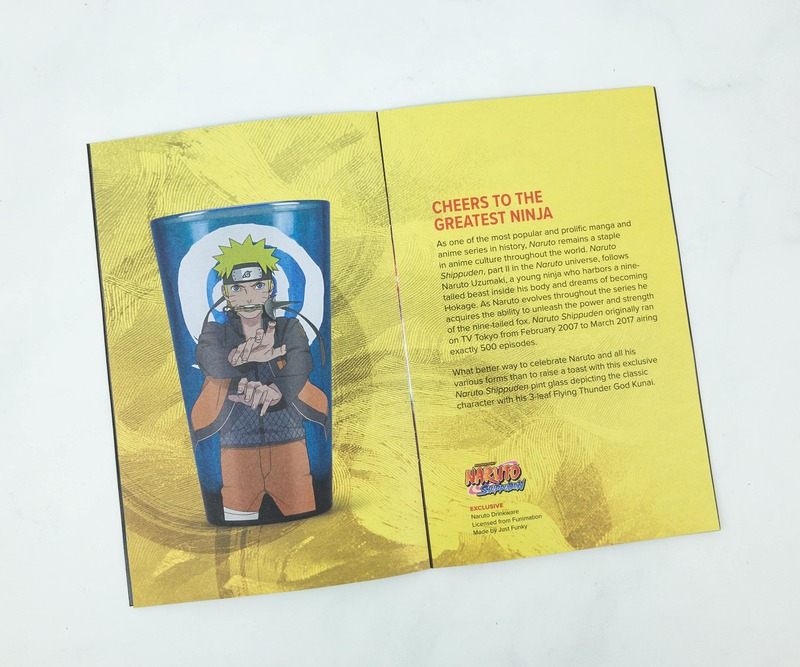 It features the main protagonist Naruto and his 3-leaf Flying Thunder God Kunai. I can’t wait to fill it up with some cold refreshments and say cheers! Adventure Time is really a timeless show for me, and I feel great when I found that this next item is also included in this box! 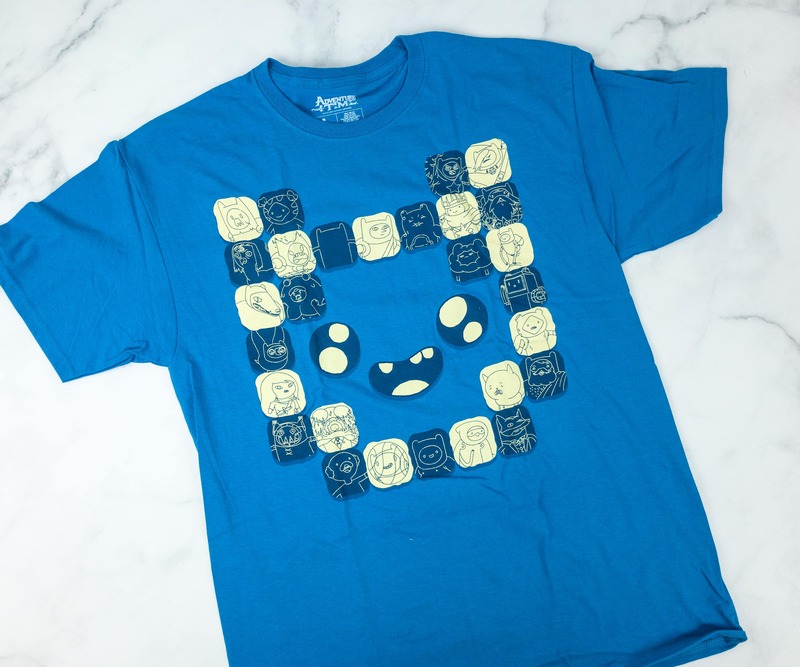 Adventure Time Tee. 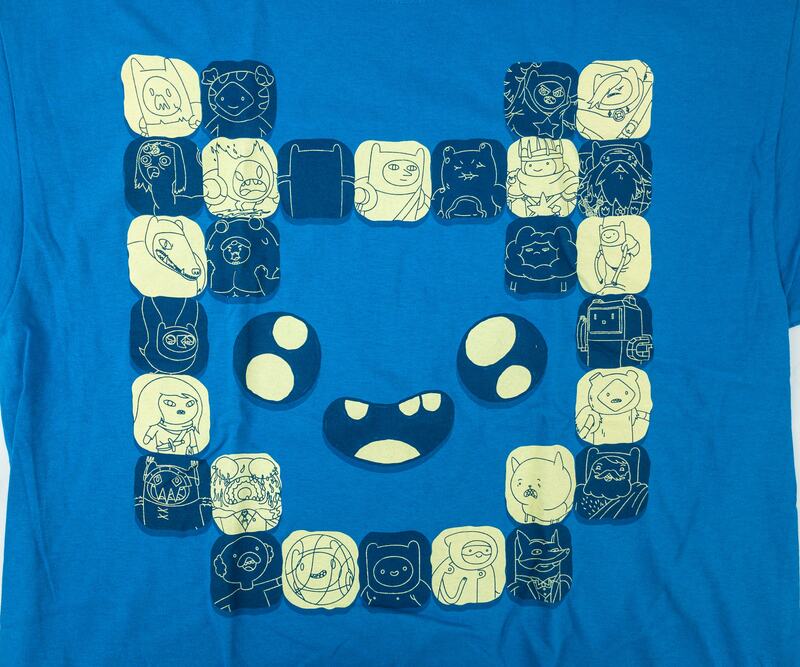 Aside from the perfect fit, this shirt is really adorable as it features the many forms of Finn! This is way too cool! Of course, it’s not only about Finn. The shirt also showcases the multiple dimensions with the different characters of this great show! I have lots of trading cards that I usually get from geek boxes and this time it features one of my favorites, the Transformers! 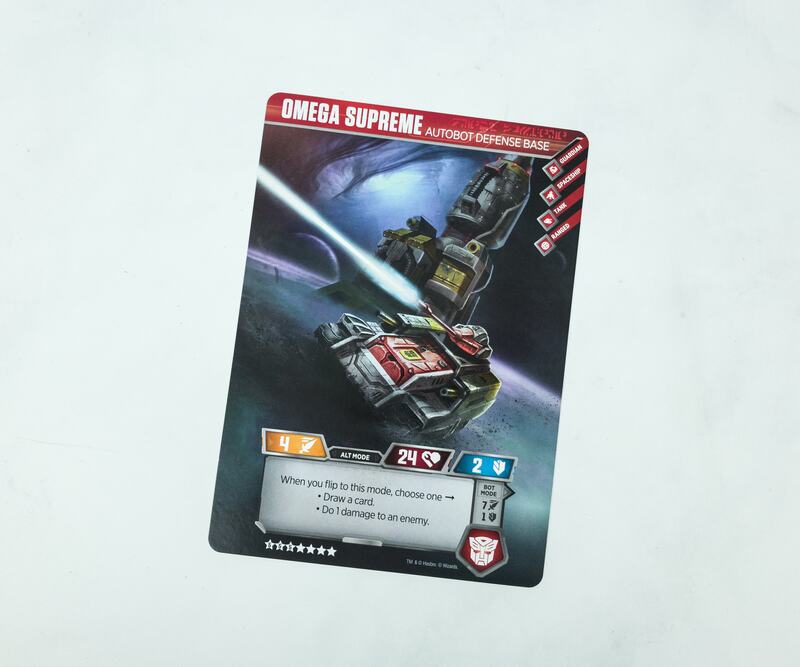 Transformers Double Sided Oversized Card. It’s not your ordinary trading card because it’s huge! 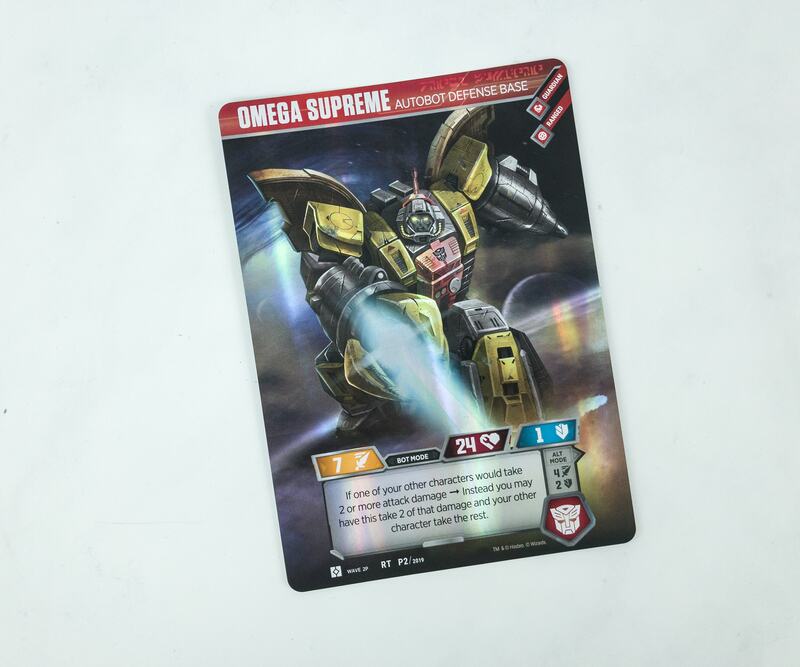 And here’s Omega Supreme gracing this one for me! 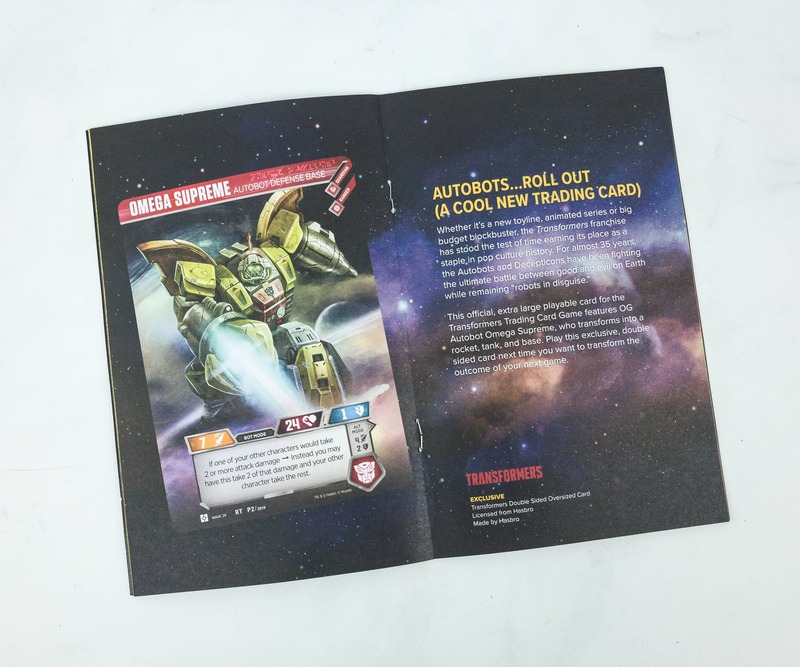 The other side of the card shows how he transforms into a vehicle. And when you turn this card on this side, you can choose to do one of the following in the game, it’s either draw a card or do 1 damage to an enemy. 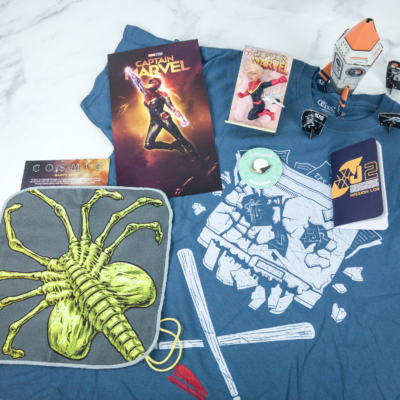 What did you think of this month’s Loot Crate? 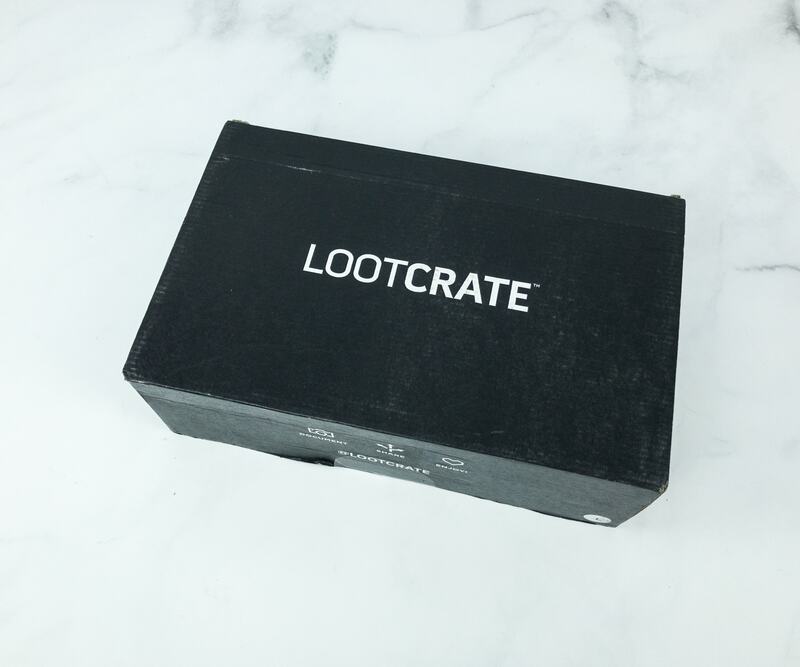 Visit Loot Crate to subscribe or find out more!